A fervent Patriot who participates in the destruction of British Tea in 1773. 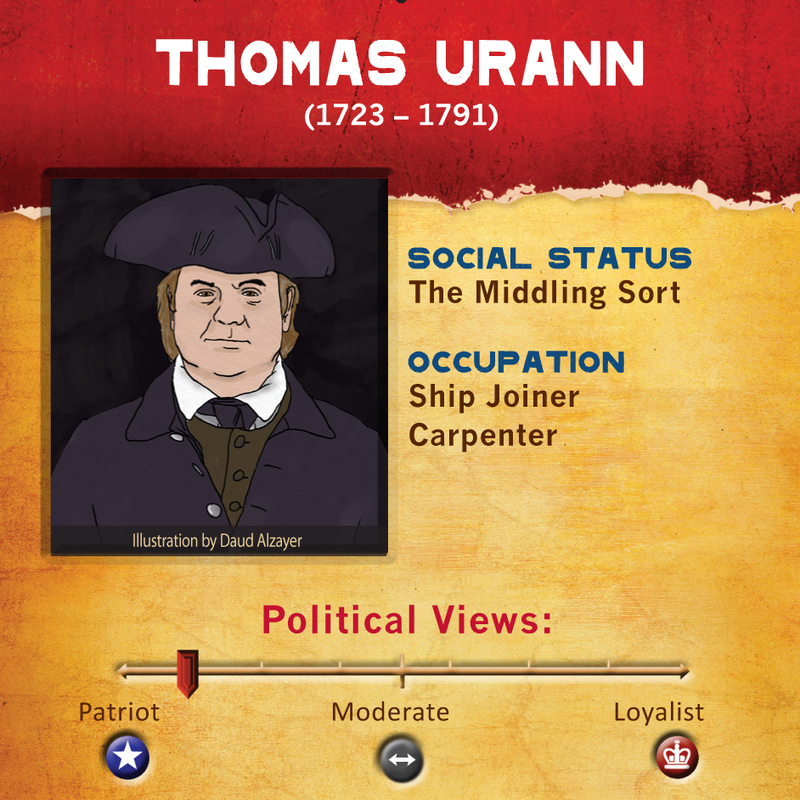 In many ways, it was middle-class men like Thomas Urann who made the Revolution happen. Although he never set foot in the Old State House, signed an important document, of fought in the army, the early years of resistance and popular action wouldn’t have happened without “the people.” He would have been driven to these protests by both principals and economics; the two things that drive much of our politics even today. You are a builder of ships and tied to Boston’s maritime economy. As a member of the North End Caucus and the Freemasons, you are connected with the most radical Patriots in Boston. When the ships bearing controversial British Tea arrive in 1773, you are among the first to volunteer to guard the ships night and day to make sure nobody unloads their cargo. When the people of Boston decide to destroy the unwanted tea, you are one of the individuals who boards the ships and throws the cargo overboard.